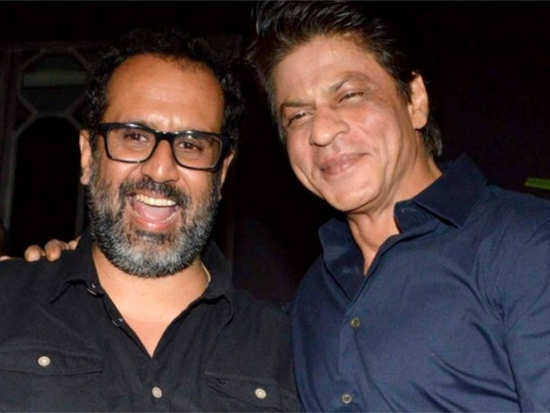 "We knew that we were doing something very exciting," said Aanand L Rai about 'Zero'. Aanand L Rai's 'Zero' is all set to hit theatres on December 21 and it's definitely going to be one of the biggest films of 2018. Not only is the film all about loving life but it features three mega-stars too, Shah Rukh Khan, Anushka Sharma and Katrina Kaif. And while you might have seen the 'King of romance', Shah Rukh romance some leading ladies in Bollywood, in this film, you will see him romance life. Talking about the film, Aanand L Rai said, "The film is about ‘let’s celebrate life in any form’. This film makes me feel very dreamy." He added, "This film talks about the fact that 'challenged' people are happier than us and that we are all the same. We are all dealing with our weaknesses. Their weaknesses show, ours do not." Talking about Shah Rukh Khan's vertically-challenged role he said, "To play a vertically challenged person you need to be a very secure actor." Talking about making the film, Rai said, "We have enjoyed making this film. There has been fun and guts involved. We knew that we were doing something very exciting." We are excited to watch this one. What about you? 3Priyanka Chopra and Nick Jonas make one stylish public appearance! 8‘Zero's’ Issaqbaazi: Shah Rukh Khan and Salman Khan will make you want to groove along! 9Priyanka Chopra and Nick Jonas are stars of Vogue’s first-ever digital cover! 10‘Simmba trailer’: The Ranveer Singh starrer has blockbuster written all over it!